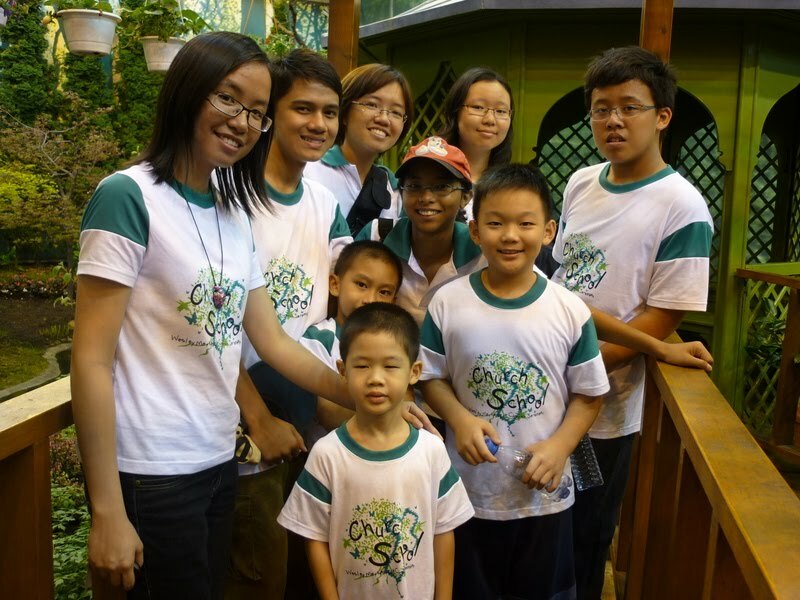 The Church School organised an outing to Shah Alam on 27th March 2010. There were 35 who went on this trip; aged 5 to 85. We started the journey about 8.30am. 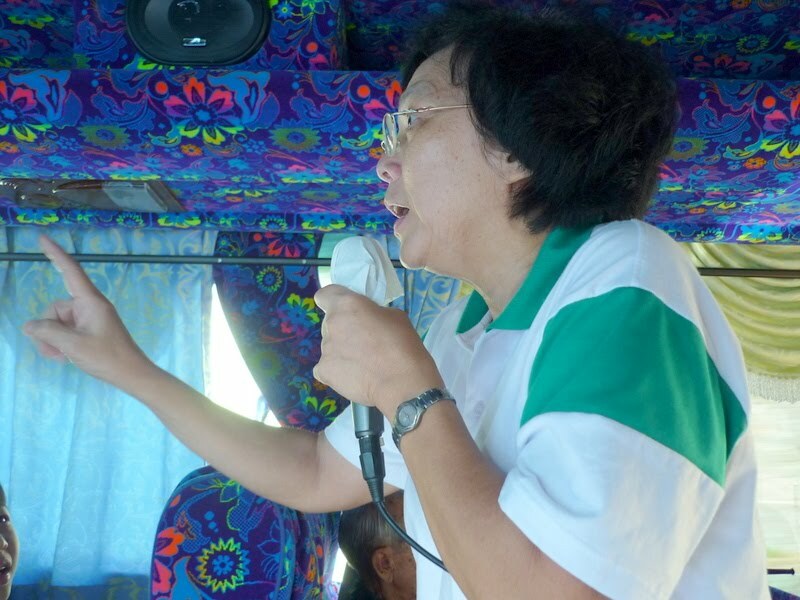 We had Aunty Su helping out the tour guide with the entertainment. She taught us a few lively songs. The first stop was the Sunflower Rice Factory at Semenyih. 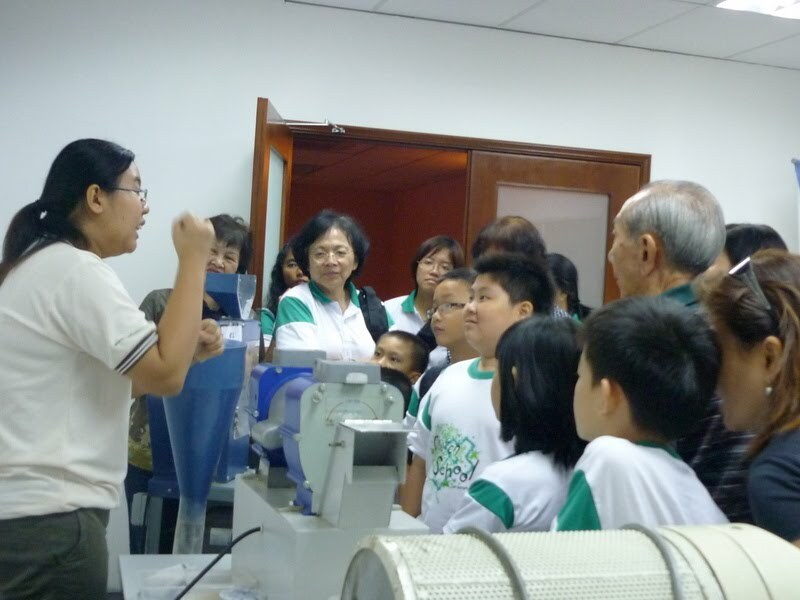 The children were quite fascinated to see how rice is processed in the various machines. It's amazing to learn how machines do wonders nowadays compared to the olden days when everything was done manually. 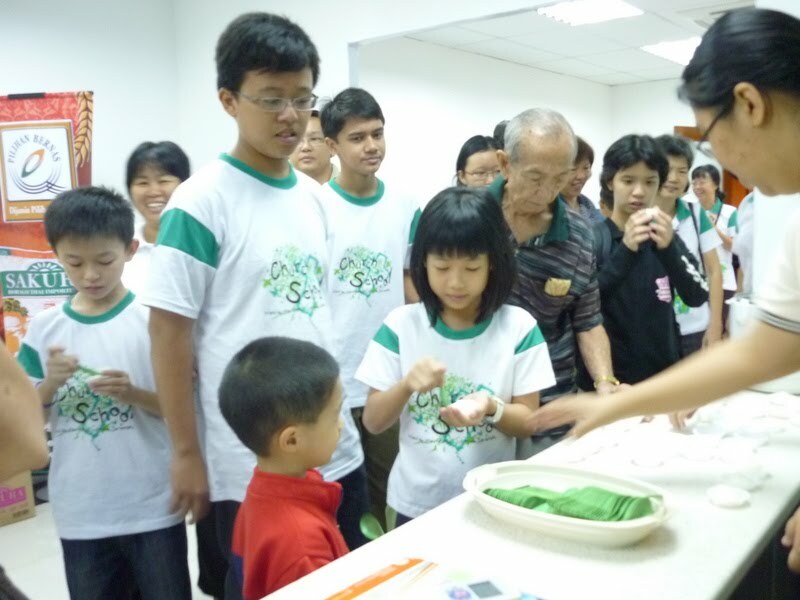 The children learnt about the variety of rice produced like QQ rice, 'growing rice', brown rice etc. We were given samples of QQ rice to try. It was pretty delicious. Some even went for three helpings. We were given samples of rice to bring home (500g) and the adults bought rice which is slightly cheaper than the retail price. Quite an eye-opening experience. Then it was the Aquarium...a large place which has a great variety of fascinating looking fishes which varies from a few ringgit to RM16000 plus!!! 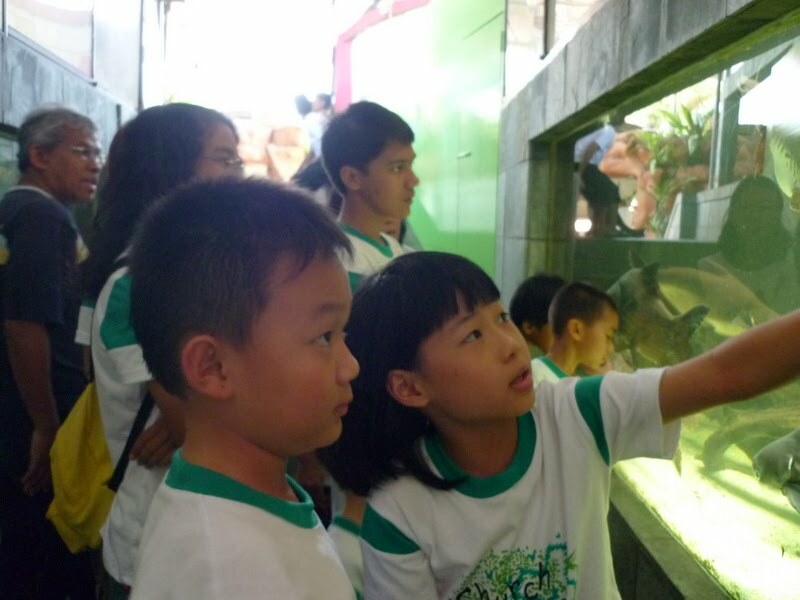 From the eyes of the adults; fishes are just fishes but if we look through the eyes of the children, the fishes are amazing, incredible. Katherine saw some plants with worms coming out of them; had she not pointed it out, I would have missed it too. Then there was the turtle with snouts like a pig and the ancient looking turtle which looked like it had lived through the dinosaur age and tiny terrapins (labi-labi). This is almost as good as going to the Aquaria at KLCC where we have to pay quite a lot to enter. 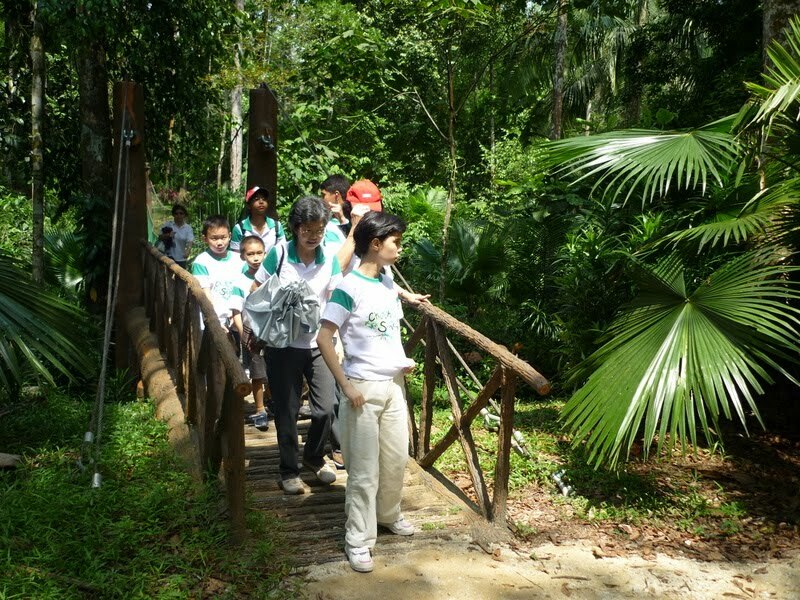 The final stop was the Taman Pertanian Malaysia at Bukit Cherakah. The highlight was visiting the four season house where it was spring. A rather narrow place but good enough for the children as it was cool and there were nice flowers with a real cherry blossom tree. Some of the CS children posing at the Four Season House; looking good in their 'uniform' designed by Han Yun. Then we took a little walk. The canopy was a rather short one. Not too thrilling to me...not sure about the children. 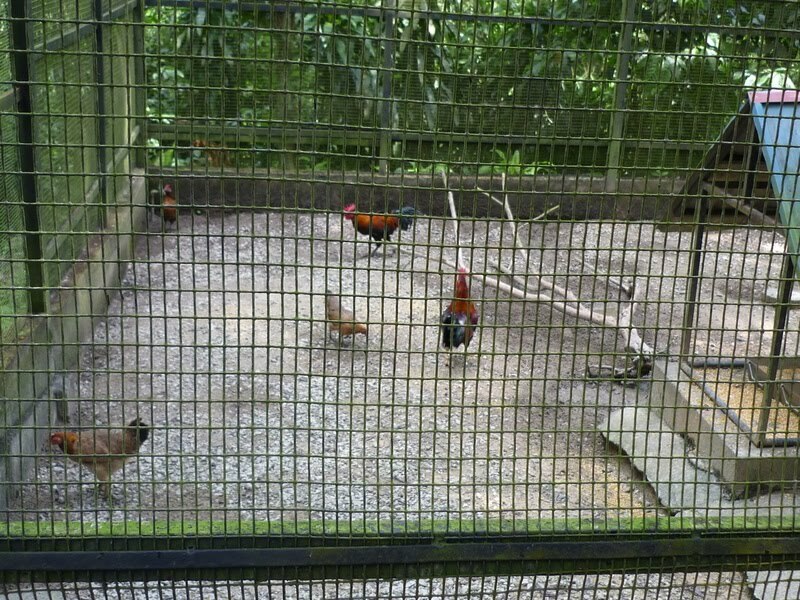 Along the way we saw chickens and a duck and turkeys all cooped up in this cage looking thing. We were privileged to see the duck chasing a chicken and acting like what Mrs Yap called....a grumpy old man. 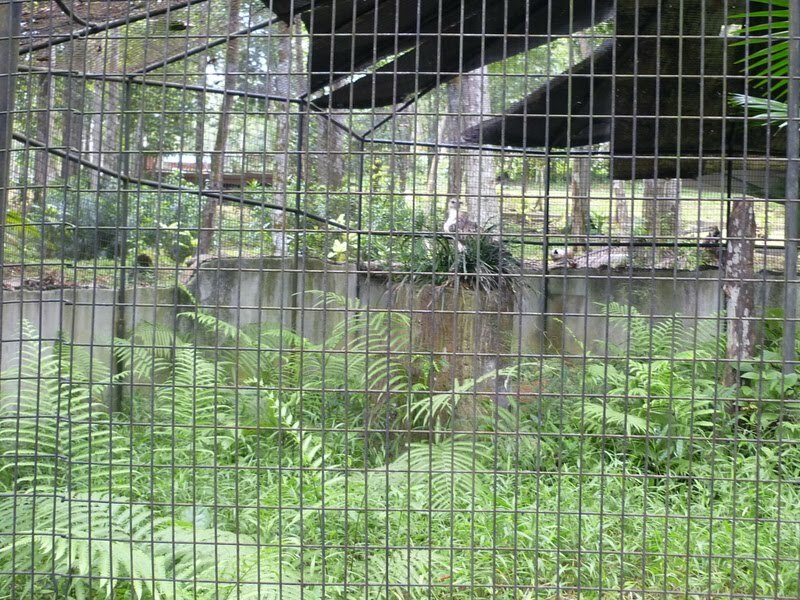 Unfortunately there were many such cages which were left neglected like the above. If you were to look closely, you will see an eagle perched somewhere in the middle; totally camouflaged by its surrounding which were unkept. 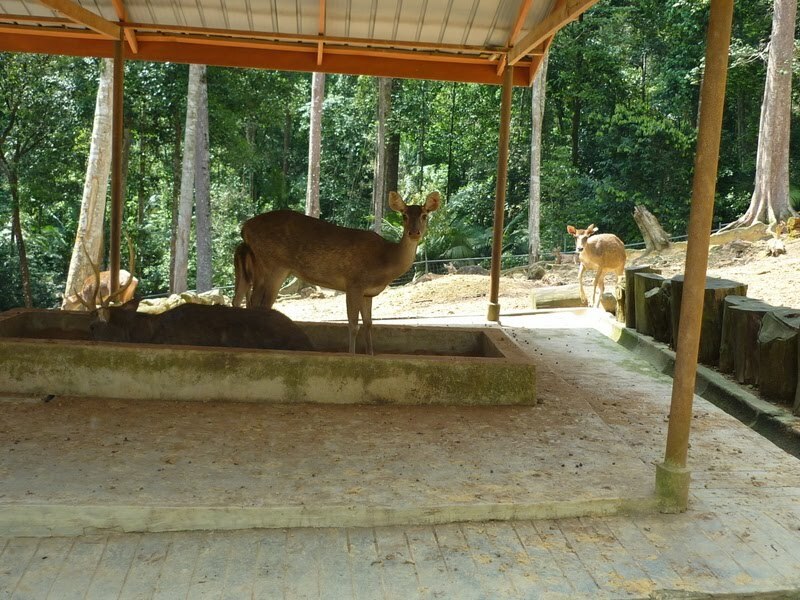 It is quite sad to see such a big place being so rundown and the animals not taken care of. For example, there were peacocks and peahens which looked quite scrawny, dirty and hungry. Somewhere a little up a hill was the Deer Farm. Quite a few deers around of different sizes. We also dropped by what was supposed to be the paddy field to look at the water buffalo. The best part of the park was to be able to see the porcupines this close. 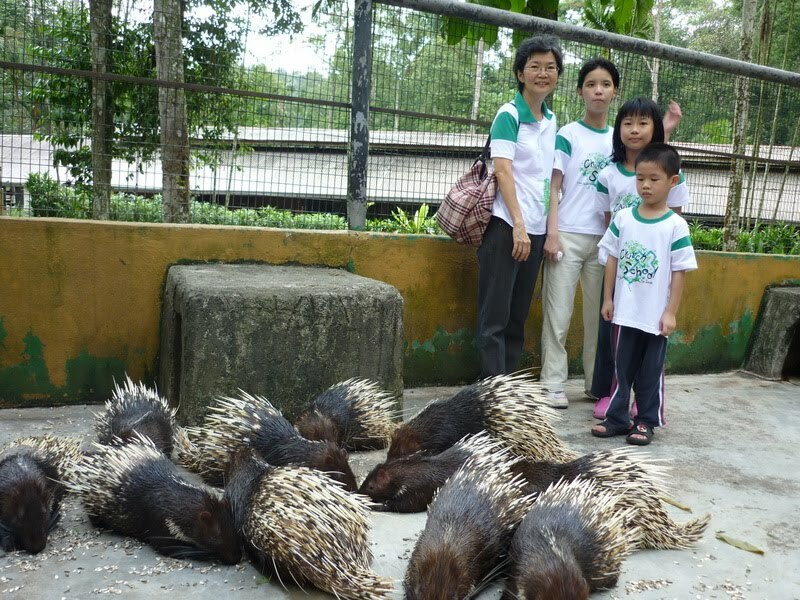 The caretaker of the porcupines opened up the place for us to enter and watch these cute but thorny creatures eating kuaci. Such amazing fellows...able to remove the kuaci from its skin with great skill. By the time we left the place, everybody was quite tired. So there was no more singing on the bus as we snored all the way back to Seremban.